Frugal & Fabulous: Giveaway & Review: Snorg Tees! Giveaway & Review: Snorg Tees! Love funny, cute and comfortable t-shirts? Then you'll love SnorgTees! They have a huge selection of t-shirts with sayings from your favorite tv shows, movies, and more! I was recently given the opportunity to review this adorable "That's my jam" t-shirt. It fits really well and is printed on a 100% cotton American Apparel t-shirt. It comes in both women's and men's sizes so you can choose the fit that you prefer. The screen printing looks good even after several washes so this shirt is made to last. I love the graphic and I think it's really funny. Several people have asked me about it too! Buy it: Snorg Tees start at around $9.95 and up! Win it: One lucky Frugal & Fabulous reader will win the t-shirt of their choice from Snorg Tees! I love the hedgehogs shirt! I Love the thats my jam shirt and would love to win. i love the comma chameleon shirt! I'd like to win a t-shirt. Thanks. My favorite is the Take Me To Bed shirt. I am a google conncect follower. These look so fun!!! ((1955nursehjc4me(at)myway(dot)com)) I really want to win!!! 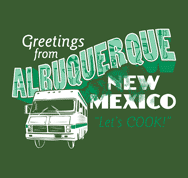 Hard to choose, I love the Albuquerque, NEW Mexico shirt and the Hedgehog shirts the best, but there;s so many to choose from!!! ((1955nursehjc4me(at)myway(dot)com)) Thanks for the chance!!! I love the challenge accepted tee! How i met your mother is one of my favorite shows! "This is my jam!" is my favourite! LOL Adorable! I linked this giveaway from your blog: curiosityandtwocats.blogspot.com even though I only have 20 followers lol. And I love the "Life would be more fun if we rode dinosaurs" I seriously just said that the other day. I love so many of these shirts! I like snorg tees on Fb! I like Frugal and Fabulous on FB! Thanks for the chance to win! I like the Bob Loblaw's Law Blog shirt. I love the 'Zombies Hate Fast Food' shirt, but I really want them all. These are awesome! I lost an electron, Are you positive? is a fun shirt; very unique and esoteric. I love the "youre killin me smalls" shirt! I'd love a new shirt! I really like the If Life Hands You Melons You May Be Dyslexic shirt. I like Snorg tees on Facebook. Id like to win because I love T-shirt giveaways. So many to choose from... I actually like a few. I like the ion one (are you positive? ), if you aren't part of the solution..., and I like the one that reads "your head looks funny turned that way". I wanna win- These shirts are hilarious! I like the hedgehogs shirt! my husband loves these, I would love to win! These are so cute - I'd love to win! I like the Hedgehog shirt and the Zombies Hate Fast Food. I absolutely love 'the bird is the word' tee!